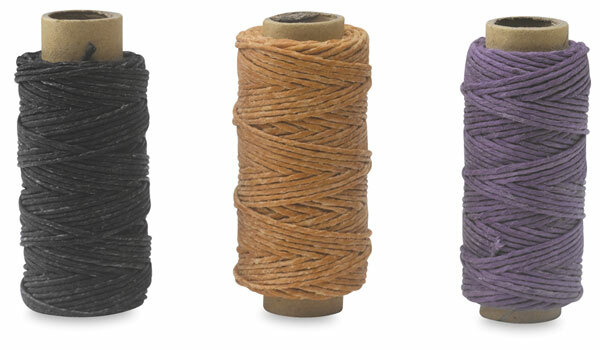 Books by Hand Waxed Linen Thread is a natural 5-ply linen thread that's lightly waxed for ease of use. It's ideal for bookbinding, crafts, and art projects of all kinds. 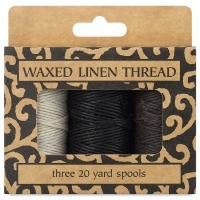 Choose from two packs, each containing three 20-yard spools. 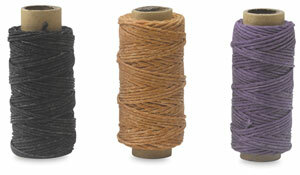 The Basic Pack contains Black, Tan, and Purple. 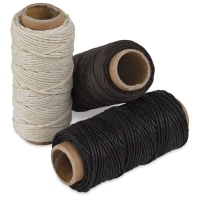 The Neutral Pack contains Black, Natural, and Brown.